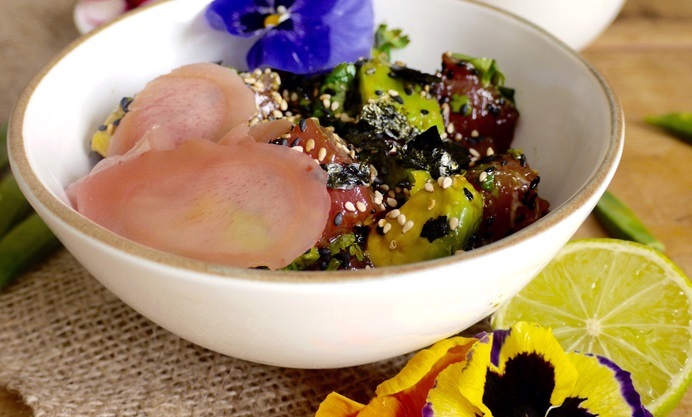 Kate Doran shares her tuna poke recipe, given a Japanese twist thanks to the addition of homemade seaweed furikake. 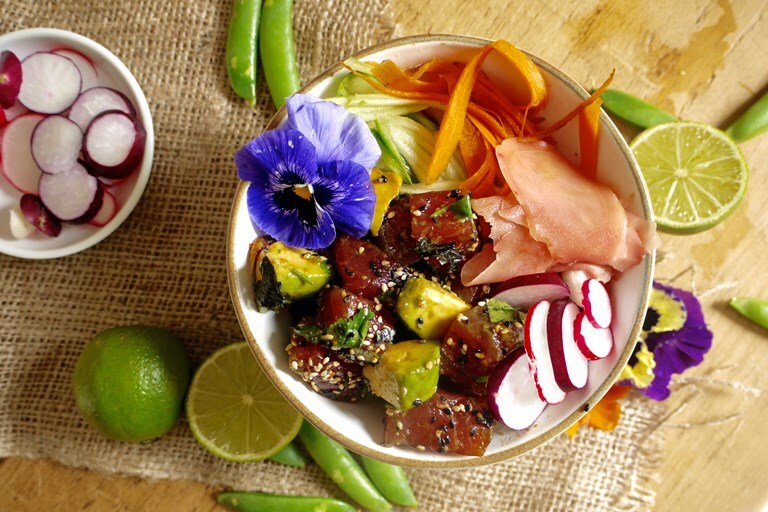 One of the best things about poke is its versatility; try experimenting with different varieties of rice, fish and pickles to create new combinations, or take a look at our Hawaiian street food guide for further tropical inspiration. 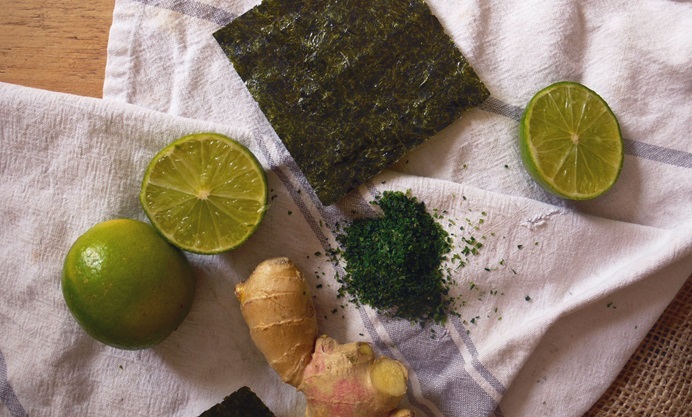 Hawaiian poke – pronounced poh-kay – are wonderfully quick and easy to throw together when you’re in the mood for sushi but don’t have time to fuss around rolling it up. The freshest tuna, avocado and raw vegetables nestle together in a bowl seasoned with toasted sesame seeds and nori to create a salty, creamy, crunchy explosion of flavour and texture. Make these bowls with the best sushi-quality tuna you can find, or substitute another fatty fish like salmon. You can also mix up the grains, using quinoa, couscous or wild rice. Seaweed salad is another nice addition alongside the crunchy rainbow of veg.